We take great pride in the the incredible transformations that are produced within DMC HQ. Don’t just take our word for it. Watch the testimonial videos below and see what our clients have to say! The Diamond Elite Executive Health and Wellness programme is a deeply-fulfilling and hugely life-improving process. 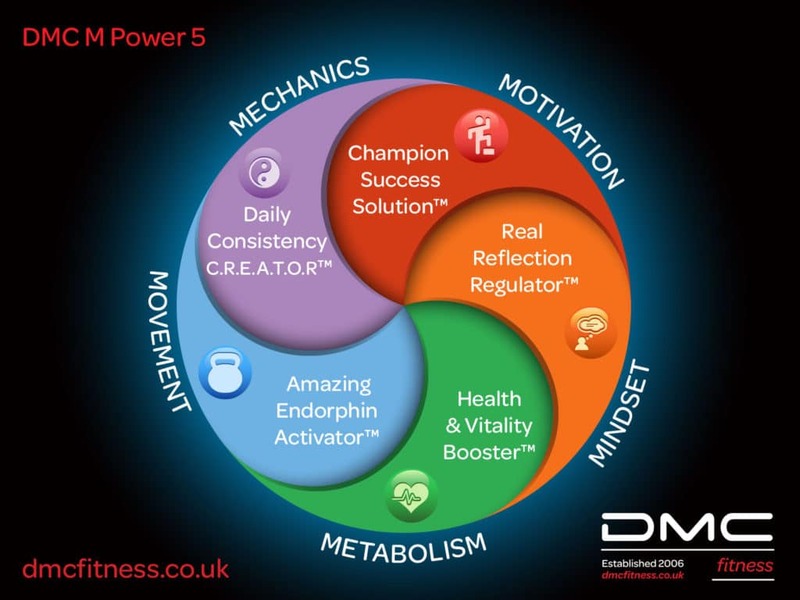 Led by DMC Fitness founder and head coach, Davie McConnachie ­– who has refined his expertise during a decade in the elite health and fitness industry as well as his time as a mindset and personal motivation coach – this three month programme is a truly incredible experience. Your Motivation is reviewed and then clearly defined goals are set. Davie uses a process that allows you to identify and focus 100% on what you really value in life. It’s so easy to get caught up in our careers and responsibilities that our passions, at times, can be put to the side. Fun is such an important part of life and relaxing is a great way to recharge and reboot. As much as career success is a must for us high achievers, your general happiness and fulfillment are just as important. When you focus on what you truly value then life becomes more fulfilling. Your Mindset is evaluated and any limiting beliefs are dismantled. Many of us have blind spots in life. Davie gently guides you towards the mirror of self-assessment where you will be encouraged to recognise any areas of thinking that are holding you back. Then you can start a reconditioning process that will eventually resolve any mindset or emotional challenges you may have. It all starts with how you think and to perform at your peak the correct mindset is essential. Your Metabolism will be supercharged to instantly improve your energy, productivity, focus, clarity of thought and sleep. There are no strict diets plans or hocus-pocus magic potions. This section of the program will give you agency over your health and vitality, assisting your body to rejuvenate so you have vibrant energy and optimal health. The Movement section will improve your mobility and flexibility. The K-Cardio exercise training program will teach you kettlebell and kickboxing skills along with improving your core and conditioning strength. Davie teaches others how he likes to train himself. He was a competitive champion athlete and has boxed, kickboxed and competed in MMA – Mixed Martial Arts. He has also competed nationally and internationally in kettlebell Sport. The movement and physical skills he will teach you will be with you for life. The Mechanics section of the program will give you the tools and ability to embed this into your daily and weekly routine so that your health, vitality and all levels of your physical and emotional health are improved indefinitely. There’s never a dull moment on this programme. You will learn a wide range of physical and motivational skills. You’ll train in many different ways ranging from bodyweight training and circuits to kettlebells and kickboxing for fitness. You will use specialist equipment like Bulgarian bags and the prowler for core strength and conditioning. You’ll also learn how to fuel your body effectively for maximum health and vitality. Davie will teach you how to have everlasting energy, minimise negative stress and the destructive effects it can have while producing a huge level of personal wealth, success and happiness. The Diamond Elite program has the ability to completely transform many areas of your life. This is not just about optimising your physical health, it’s about creating lasting changes in your attitude and mindset to engender significant improvements to all areas of your life as well as the lives of the people around you. Diamond Elite is perfect for Chief Executive Officers, Managing Directors, Executives and established business owners. These are the clients Davie specialises in coaching. His personal guarantee to you is that your life will never be the same again. Please contact us to book your initial free private success session.